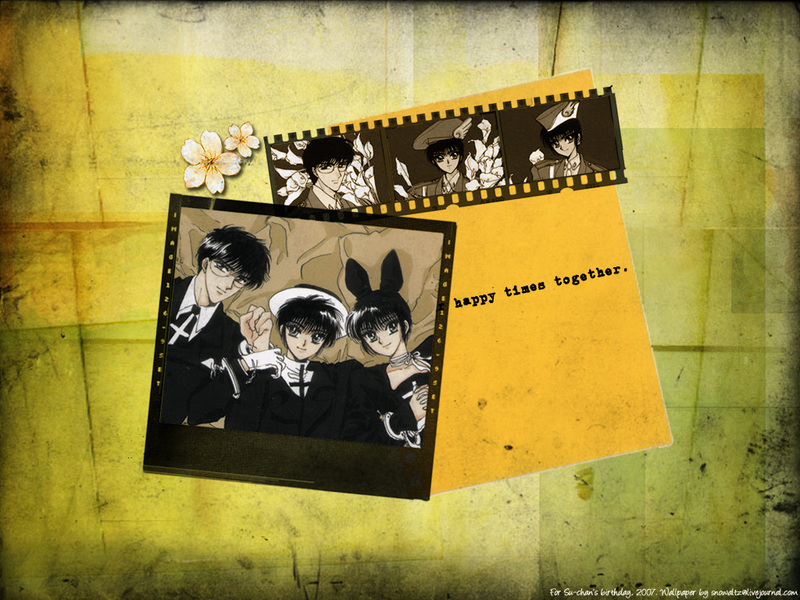 This wallpaper is a gift to Su-chan for her birthday. I chose these two pictures (I got them both from MT, http://gallery.minitokyo.net/view/195804/ and http://gallery.minitokyo.net/view/13852/) because Seishirou, Subaru and Hokuto looked happy in these scans. This is also why the words on the wallpaper are "happy times together". The grunge effect is used because of the rather angsty relationship tangling the three characters, that even though there were happy times for them, there were sad times too.. I appreciate and welcome any/every comment :) I'm still pretty new to making anime wallpapers, hope you like this.